Good news regarding the fire...it's 75% contained and as of noon today, the advisory evacuation for our community has been lifted. But there is a part of this map that kind of concerns us. 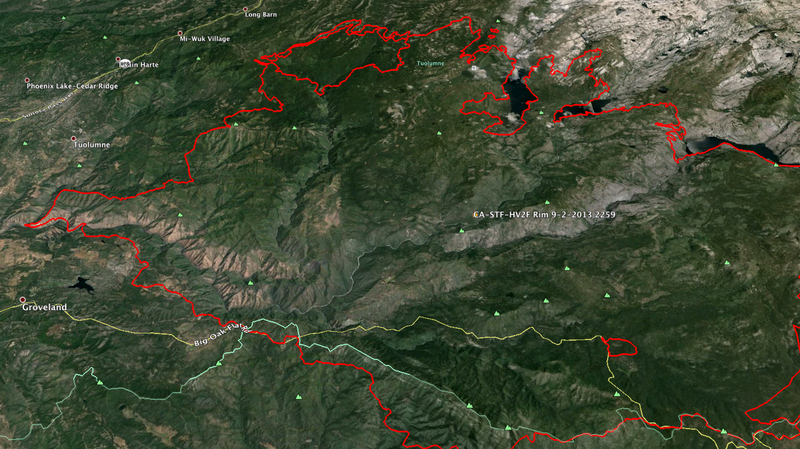 That line of red closest to Mi-Wuk Village and Long Barn. We're thinking it's a backfire, but that's just a guess. Jimmy's brother, the one who comes up every summer with his 3 boys, has a close friend who has a cabin inside that perimeter. It looks like that part hasn't burned, but when we looked closer on the maps, it seems like it got within just a few hundred feet from their home. This family's cabin is one of the founding families in this area and their family name is well known. It's kind of funny in a coincidental kind of way, that Jimmy's brother is good friends with one of the members of that family. I spent the weekend taking snapshots of the momentos that I brought back with me. I'm glad I have digital images of these in case anything does go awry in the future. Some of these things I never really looked at since my mom died 15 years ago. 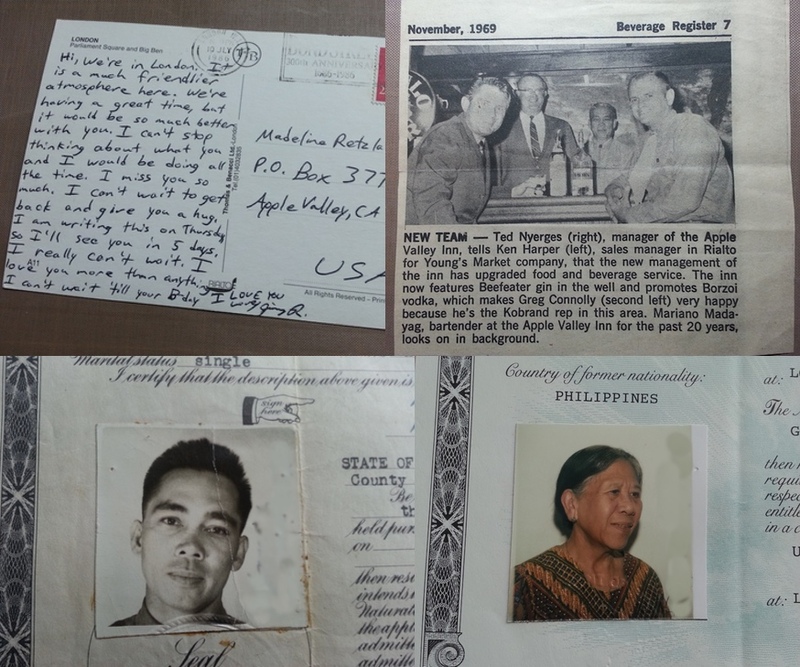 I found letters of recommendations from her previous employers when she worked as a cook, housekeeper and nanny for American military families in Manila. I found the letter that the founder of Apple Valley sent to her to request her visa application that started the process of her coming to the United States. I found my mom and dads wedding invitation. Turns out this whole time I had the date of their wedding wrong by 2 days!! praying for full containment of the fire soon. hope you write more about your mementos in the future.